Bounty , The Sizzler Joint. Bounty is a landmark restaurant in Kalayni Nagar opened some 12/ 13 years back , this place has been our regular joint since years, much before I started blogging and this food photography came in place.Its got a lovely sitting outside which has a very buzzing and a positive vibe to it, so we always prefer sitting outside. The reason I had never written about it because it does not need any promotion or reviews , it’s a busy place with a huge waiting even on a weekday. Table booking a must on a weekend. We were six of us and we have all been to Bounty’s several times so we ordered our usual comfort food, Prawns chilli, Lamb chilli, Garlic mushrooms and Fries to start with and for main course we had Pepper steak and Chicken Shashlik steak and finally to end with Chocolate Mousse and Custard. Fresh lime and Ice tea to accompany the meal. I have not clicked any pictures since i had just gone to enjoy the evening , these all are clicked by our members. Food-Adda members paid for the meal. 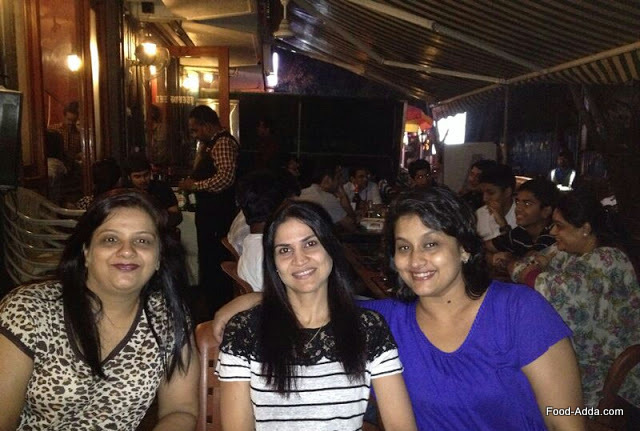 The Bounty Sizzlers, 14 & 15 Landmark Garden, Kalyani Nagar, Pune, India. This entry was posted in Bounty Sizzler Joint, Uncategorized and tagged #foodaddaindia, #Pune #Food #Drink #Nightlife, bounty sizzler, food, food blogger, food photography, photography, pune bloggers, pune restaurants, restaurants. Bookmark the permalink. 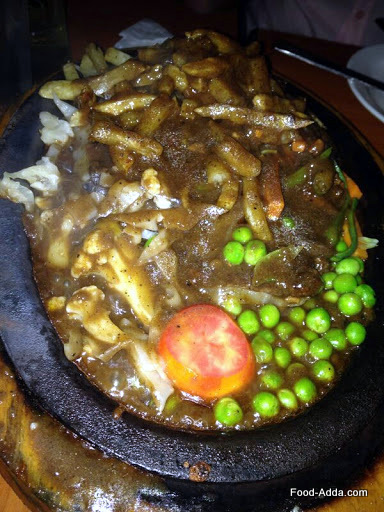 I love sizzlers…Kobe’s and Yana in Bangalore are my favourite places for Sizzlers! Pune sure has some really cool food joints.. Yes lot’s of new places and the old ones too are quite good. Sizzlers are my fav … !! This sure looks a great place for food.